How do you get pi? Divide the circumference of any circle by its diameter. It will always give you pi—a number that never ends. Pi is used all around you every day, in everything from engineering to calculating orbits to how a baseball player swings his arm to pitch. Because pi is rounded to 3.14, March 14 is National Pi Day! How do you get pie? Make some! (Or have your kids make it…) This easy no-bake chocolate peanut butter pie is a tasty way to celebrate math. Use a mixer to beat together the softened cream cheese, vanilla extract, and powdered sugar. Add in the peanut butter and milk, then beat until the mixture is smooth. Gently stir in the whipped topping until just combined. 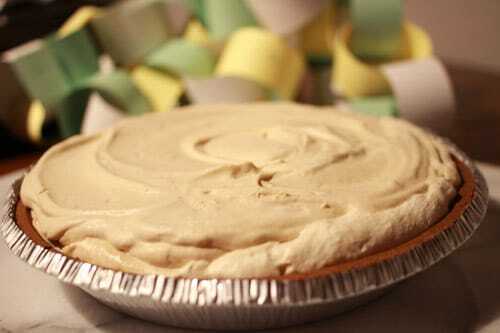 Pour into the pie crusts and refrigerate 6 hours or overnight. How do you play with pi? 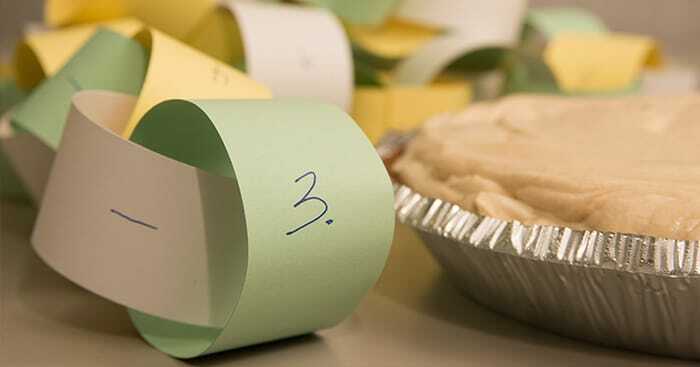 Make a pi paper chain. Fold the first strip into a circle and staple the ends together. Fold the second strip through the circle you just made. Make a circle with the second strip, stapling the ends together. Repeat until you've used all your strips.